Created by Brenda Schick, Ph.D. and Mary Pat Moeller, M.S. The children's book Elizabeth and Larry by Marilyn Sadler, is wonderfully engaging for young Deaf children and children learning American Sign Language (ASL). 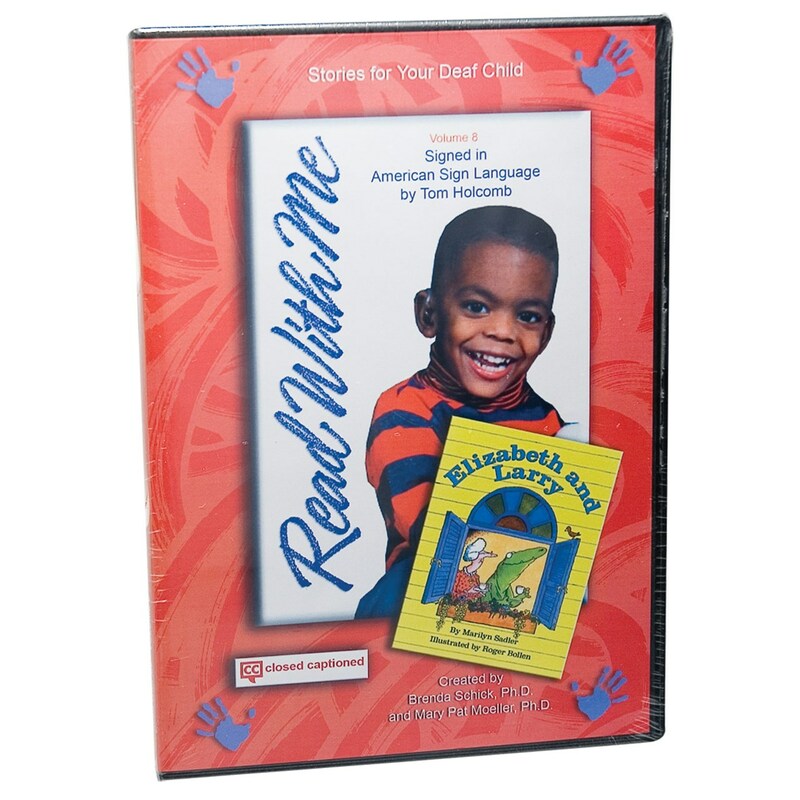 The DVD can also be used as a teaching aid for adults seeking to improve their sign-language storytelling skills. The book is signed by experienced, entertaining child and adult signers. Narrated in English. Note: The spoken English narration on the video corresponds with the ASL storyteller and may not exactly follow the printed English text.